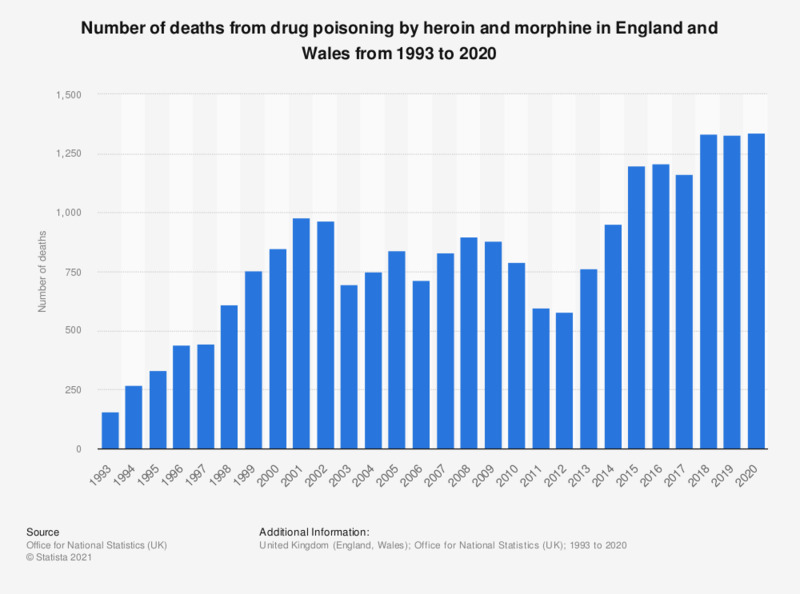 This statistic displays the number of deaths from heroin or morphine drug poisoning in England and Wales from 1993 to 2017. The largest number of deaths from heroine and morphine drug poisoning were recorded in 2016, with 1,209 deaths recorded. Number of drug-related deaths where heroin or morphine were mentioned on the death certificate. Statistics on "Class A drugs in England and Wales"